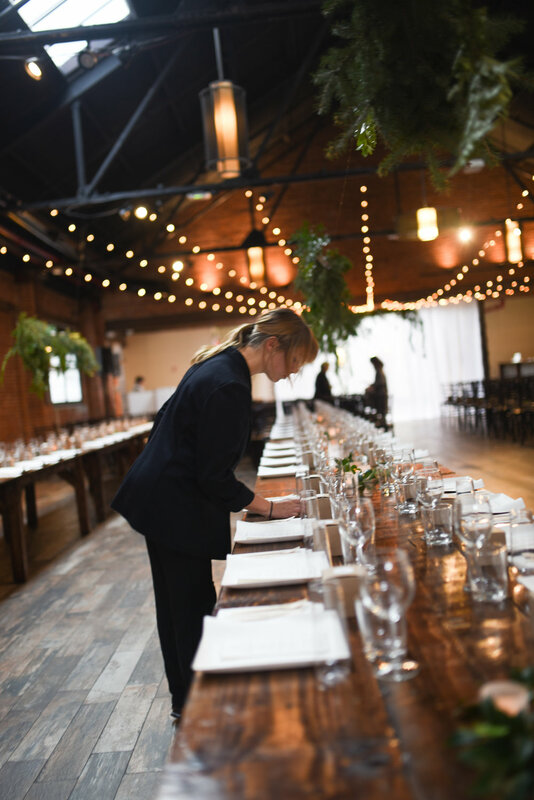 Jenny and Julian knocked it out of the park with their sustainable and eco-friendly wedding at 26 Bridge Street venue in DUMBO Brooklyn. Working with the happy couple we decorated the space using a ton of lush greens suspended above fantastic barn wood tables. 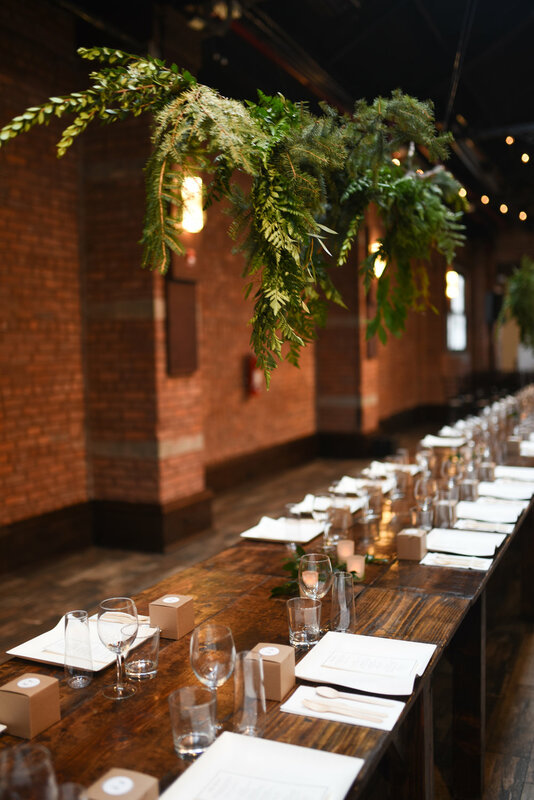 The tables were full of sustainable and recyclable flatware and dinnerware, and decorated with LED lights and greenery sprigs. 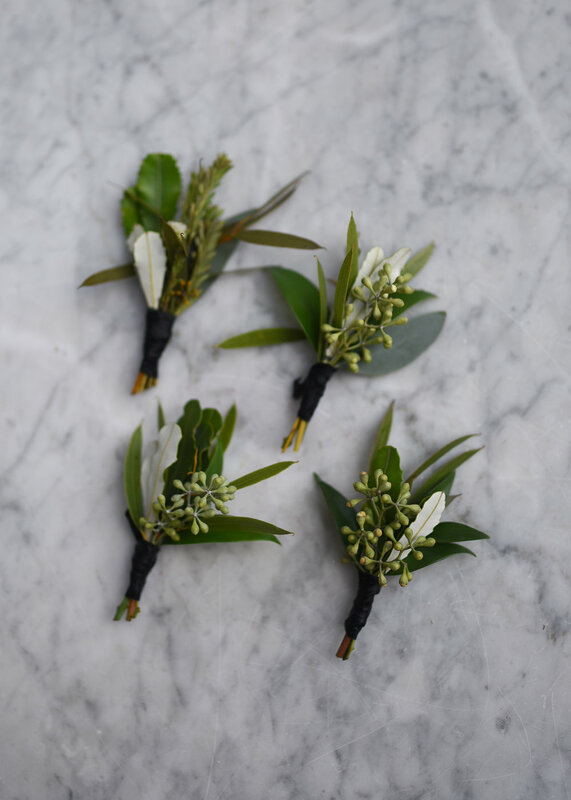 The ceremony took place at the venue, and was decorated with an asymmetrical greenery backdrop that remained for the duration of party! 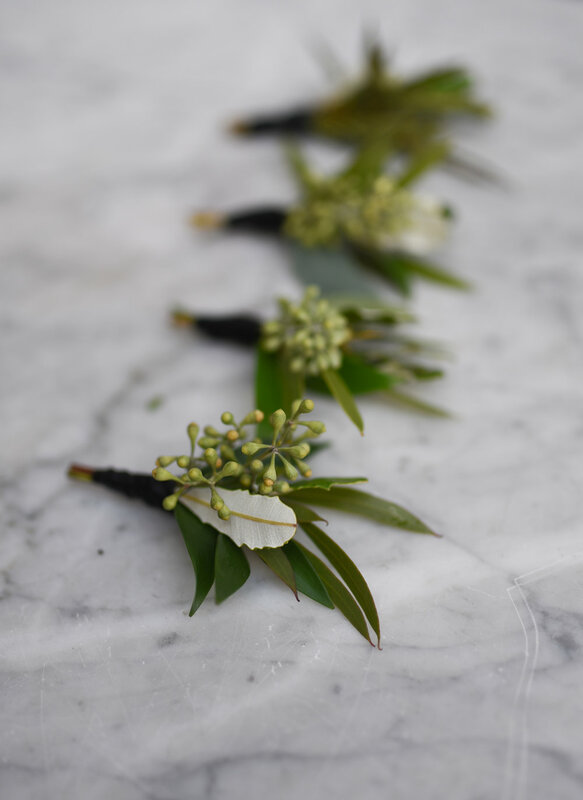 The bouquets were all green, made using a mix of eucalyptus, seeded eucalyptus, ferns and lots of fun greenery and berry accents.